Patio Pavers Are An Excellent Choice For Your Hardscaping Needs! If you're considering adding a patio, outdoor dining area, or garden walkway to your Bay area home or business, one of the most important decisions you'll make is your choice of materials. The fact is, if you're looking for durability, aesthetic beauty, easy maintenance, and longevity, nothing can stand up to concrete patio pavers. Patio pavers are durable, flexible, affordable, and beautiful. They come in a wide variety of sizes, styles, colors, textures, and shapes. If you're looking to create a unique look that will provide you with the perfect entertaining space, your family with hours of pleasure, and increase the value of your home, interlocking concrete patio pavers are the ideal material! • Durability – Patio pavers provide nearly 4 times the load bearing weight of a concrete slab. This durability means that an interlocking concrete paver patio can support heavier loads and provide you with a longer usable life than concrete or asphalt. • Flexibility – Interlocking pavers are flexible, and that means that they adjust to environmental changes like cold and heat, expansion and contraction, as well as the frequent seismic distortion we experience here in Northern California that can wreak havoc on concrete slab or asphalt over time. • Easy Repair – Repair and maintenance of patio pavers is easy. 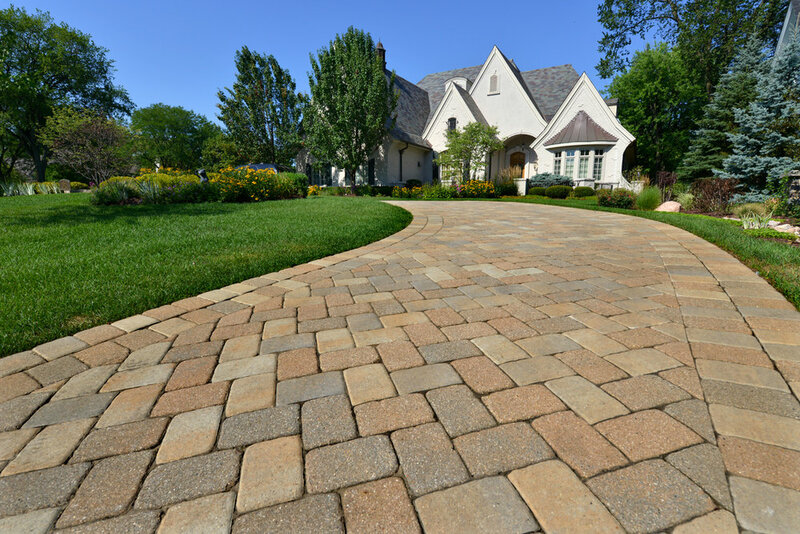 If a paver is damaged or stained, just remove it and replace it with a new paver. When stained or cracked, concrete or asphalt may require expensive, time-consuming repairs. With concrete or asphalt, you'll need to make repeated repairs over the life of your patio, and once it's cracked, it will never look the same again! • Low Maintenance – Sealing your concrete pavers every year or two will keep them looking like new. You may also need to replace joint sand periodically as well. When compared to patching asphalt or repairing cracks in concrete, concrete pavers are the clear choice! • Environmentally Friendly - Permeable concrete patio pavers can filter and return water to aquifers as well as reduce contaminated runoff. If you care about the environment, permeable pavers will not only look great, they'll help protect the planet. Use Your Patio The Minute Our Trucks Pull Away! One of the best benefits of concrete patio pavers is that there's no curing time! Asphalt or poured concrete often have long curing times during which you'll have to avoid putting weight on the surface until it has set. Curing can take days or even weeks. With pavers, there's no wait. Once the stone is installed, you can be entertaining guests the day our trucks pull out of your driveway! Let Us Design and Install The Patio of Your Dreams! Bayside Pavers has been designing and installing hardscaping throughout the greater San Francisco Bay Area since 2009. We bring projects in on time and on budget and have built our business by providing the highest quality craftsmanship. In fact, many of our clients are repeat customers that call us for all of their hardscaping needs. Our “no surprises” proposal process means that you'll know exactly what your project will cost before you sign a contract!